Holland Litho Is Giving Back! We at Holland Litho would like to share just a bit of our success with those who may need our help. With Giving Back, we select a deserving volunteer or non-profit organization in Michigan and produce up to 10 business cards free of charge (up to 2500 total business cards in any combination, such as 10 sets of 250 each). For more information, see our Giving Back: information and nomination page. Exalta Health reflects the spirit of Christ by providing compassionate, accessible healthcare. We serve all ages and provide urgent and primary medical care, vision, urgent and primary dental care, integrated behavioral health and spiritual care services. Our small core of caring and competent staff is surrounded with many enthusiastic, mission driven volunteers ranging from doctors and dentists to maintenance staff, all working together to create a wonderful environment for caring for our patients. Visit their website at www.exaltahealth.org. New Hope Church believes that the Bible (the sixty-six books of the Old and New Testaments) is God’s infallible written Word. It stands as the sole basis of their beliefs. They believe that it was uniquely, verbally, and fully inspired by the Holy Spirit and that it was written without error (inerrant) in the original manuscripts. It is the supreme and final authority in all matters on which it speaks (2 Tim. 3:16; 2 Peter 1:21). Visit their website at www.newhopehaslett.com. God has blessed Keys for Kids Ministries with new ideas, new technology, and new areas of ministry. That doesn't mean we're dumbing down the gospel or replacing it with entertainment. We're staying true to the gospel but providing it where kids and families live today — in all areas of media. Visit their website at www.keysforkids.org. The Mission of A Father's Walk is, "Impacting the lives of children by encouraging and equipping single fathers to be intentional leaders in their own lives and in the lives of their children." Visit their website at afatherswalk.org. Gracie Brave exists to link arms with children and adults who suffer with clinical depression and other emotional challenges. The Gracie Brave Foundation is working to achieve this through our book, GRACIE BRAVE, merchandise, counseling, workshops and advocacy. Visit their website at www.graciebrave.org. The Global Bible Initiative believes that God has called us to play important roles in fulfilling the Great Commission: developing technological tools to help the Bible translation process become cheaper, faster and better and working on specific translations ourselves that God has called us to do. Visit their website at www.globalbibleinitiative.org. The Garden's mission is to fulfill the community's need for information, education and inspiration concerning the art and science of gardening and the preservation of our local environment. Visit their website at berkshirebotanical.org. The Geek Group National Science Institute was established in 1994 in Grand Rapids, Michigan as a mechanism for students to obtain direct access to science and technology. Since then, TGG has grown into a primary resource for individuals, groups, employers, and families seeking innovative educational options, 21st century skills, vocational training, self-paced learning, and unique STEM programming. Visit their website at thegeekgroup.org. The ODC Network is a registered 501 (c)(3)non-profit education and conservation organization that was founded in the year 2000. Its purpose is to connect people with nature through outdoor education for the benefit of wildlife and the conservation of the natural world. Visit their website at http://outdoordiscovery.org. HIRED, INC., (Humanitarian Interaction for Relief and Sustainable Development) is a non-profit charitable organization that brings assistance to communities who are suffering in desperate situations. They help them through special project design, housing, interaction and education. Their current USA project is to "END VETERAN HOMELESSNESS, Community by Community!" Visit their website at http://www.hiredprojectusa.org. The WHO Global Status Report On Road Safety recently pointed out that road traffic accidents caused more than 1.25 million deaths and more than 20-50 million injuries each year; Road traffic deaths among cyclists are 50,000. Ride of Silence raises awareness for this issue and remembers the victims of accidents. Visit their website at http://www.rideofsilence.org. Roughly 7 years ago, Jaime was called to create a youth group for a church in the core city of Holland. In a few short months, it became apparent that these kids needed more than a Wednesday night program, they needed a group to call their family. Since then, we've moved the ministry into a home on 15th St. in Holland and continue to grow! Visit their website at http://actsholland.com. Visit their website at http://wmyfc.org. To help revitalize Grand Rapid's three business districts, and the residential neighborhoods connecting them, the Westside is establishing the fourth Corridor Improvement District (CID) in the city. Visit their website at http://westsidegr.org. Caribbean Christian Centre for the Deaf exists to reach, teach, and nurture the Deaf of Jamaica. Our mission is to enable full language access and affirmation in an inclusive community whereby knowledge is empowered to know the Lord, appreciate diversity and understand the functions of the world. It's U.S. office is right here in Zeeland, Michigan. Visit their website at cccdjamaica.org. ASM records and distributes Scripture to oral learners who can't, don't, or won't read. For a minimal cost of $35 per audio Bible, you can give an entire family the gift of hearing the Bible in their heart language! Visit their website at asmtoday.org. The college campus in the U.S. may be the most strategic mission field in the world. Reliant Missionaries Joe and Kelsey Testa work on campus at Michigan State University with students from all over Michigan and the United States, along with 130 other nations. Michigan State, like many universities, houses the future leaders of our country and world. We seek to recapture the universities for Christ on whom there were all originally founded. Visit their website at reliant.org/joe.testa. "Probably one of the greatest blessings about growing up in the outdoors is that, from an early age, I saw the beauty of the world around me. My time spent catching brook trout and rainbows in the Rockies created a sense of wonder. That wonder developed over time into a sense of awe as I looked at the world around me. I would look at the intricacies of what I saw and think that there was way to much complexity and order for all of this to come from a random, haphazard accident happening billions of years ago." As for fishing guides, you won't find any better. Rick Baarman, our VP of Sales & Marketing, went on a walleye fishing excursion and had one of the best fishing experiences ever and nearly limited out! Visit their fishing guide website at www.nofishleftbehind.com. The United Methodist Community House is a non-profit agency based in Grand Rapids, Michigan. Their mission is to increase the ability of children, youth, adults, and families to succeed in a diverse community. Since 1902, they have been meeting the needs of and offering opportunities to children, youth, adults, seniors, and families in our neighborhood, to help them increase their opportunities to succeed. Located in the heart of Grand Rapids, they are committed to serving a diverse population and are continually adapting our programming to best service those who need us most — our community. Visit their website at umchousegr.org. Steepletown, located on the West Side of Grand Rapids, is transforming lives within the urban core communities of Grand Rapids and the surrounding region through education, workforce development, and community empowerment. This creates hope that is rooted in opportunity, which ultimately leads to a sense of well-being and economic security. Visit their website at www.steepletown.org. Extended Grace is a nonprofit, grassroots social lab that builds community while solving problems. They believe that as human beings we can all do a better job extending grace to each other and to ourselves. They provide opportunities to do so by forming collaborative relationships and offering programs and events to nurture, educate and inspire individuals so that together we can address issues of social justice and human rights. Visit their website at www.extendedgrace.org. LAMPE Ministries provides a Christian ministry to the developing world through a partnership with Living World Bible College. Most recently, they have been focused on work in Nigeria, where Pastor Tony Allan has traveled for each of the past several years. Visit their website at lampeministries.org. Wings of Hope Hospice helps patients enjoy their last days, weeks or months in the embrace of loved ones and comfort of home. They help dying patients and their loved ones through the dying process. They increase the patient's choice, control, comfort and dignity and provide the training and assistance his or her loved ones will need to provide care. The hospice provides compassionate care at the end of life and support through the grief experience for individuals and families in Allegan County, Van Buren County and surrounding communities. Visit their website at wingsofhopehospice.com/. 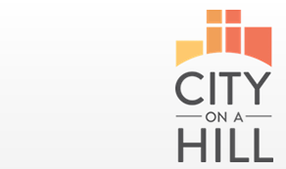 The City on a Hill story begins with a small group of women praying about human needs during a hurting economy. Funding was tight for ministries at a time when community needs were increasing. As these women prayed, God opened doors. Just when Zeeland Community Hospital planned to vacate a building, a team inspired by the women's prayers was pursuing the idea of a ministry center — a shared facility where nonprofits could work more efficiently to meet the spiritual and physical needs of the community. Visit their website at www.coahm.org. Eleanor's Pantry feeds as many as 1,000 children and adults each month, many of whom could be described as the working poor. Families can receive a "four day emergency supply" of food once per month. Van Buren county is one of the poorest of 83 Michigan counties. The pantry receive generous support from community churches, businesses, organizations, families, and individuals. Visit their website at eleanorspantry.org. Helping Heroes Kids' specific purpose is to benefit families who have lost parents or who have member that have been seriously wounded in either combat or service to this country, including firemen and police. With your help, HHK can send a child to camp or help provide funding for a student to attend college. Visit their website at helpingheroeskids.org. As the west side of Grand Rapids is growing, some families and people who have lived here a long time are being "pushed out" by rising rent costs. Purpose Properties exists to provide safe, warm, dry and dignifying housing to families in West Grand Rapids through creative housing solutions. Visit their website at www.purposeproperties.rent. This month's winner of HLPS' Giving Back program is Families Victorious, a group that is truly doing God's work by devoting itself to helping folks with gambling, alcohol and/or drug addiction in our local area. Visit their website at www.familiesvictorious.org/. We broke with our policy of choosing western Michigan charities this month and chose Laurel Hill Association of Massachusetts. LHA, founded in 1853, is the oldest existing village improvement society in the United States. Activities include maintaining Association properties, planting trees and flowers, and cooperating with town authorities and other organizations for community welfare. Our newsletter guy is on the board! Visit their website at www.laurelhillassociation.org/. The Outdoor Discovery Center Macatawa Greenway (ODCMG) is a registered 501 (c)(3) non-profit education and conservation organization that was founded in the year 2000. Its purpose is to connect people with nature through outdoor education for the benefit of wildlife and the conservation of the natural world. Visit their website at www.outdoordiscovery.org/. ANSWER is a non-religious, non-partisan organization dedicated to helping the people of Nepal address problems of poverty through education, primarily by providing educational sponsorships for low-caste and impoverished students.. Visit their website at answernepal.org/. Beginning in 2005, it has been the vision of The DOCK to reach the kids and families of the community with the Gospel. Now in its 10th season, they are open three days per week after school as a drop-in center, middle and high school students come in to play games, do crafts, spend time with friends, and eat a snack. They share hope from the Bible with their students and their loving volunteers lend a listening and caring ear to each student who walks through the doors. On Thursdays they have an opportunity for our high school students to learn how to be leaders through activities, large and small group times, tutoring, and service projects. God has grown this ministry in amazing ways over the past 10 years and they are excited to see where he continues to lead. 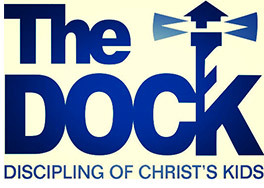 Visit their website at www.thedock.org. From forest to shoreline, Beechpoint offers 100 acres of splendid beauty and endless hours of recreation. Exceptional programming, caring staff, choice activities, and hearty meals frame your experience for the week or the weekend!. Visit their website at www.beechpoint.org. Hand2Hand began in October 2008 after a need was discovered in a local elementary school that children risked going hungry on the weekends because of financial strain. The founder of Hand2Hand, Cheri Honderd, attended Fair Haven Church and worked with the Principal of that particular school. A plan was implemented that would provide food to these children in a way that was confidential. Visit their website at hand2handbackpack.org. Lakeshore Lifeworks Ministries is a missionary outreach program which links the Body of Christ to aging out foster youth and street kids in West Michigan. Our aim is to fulfill the Great Commission; to go and make disciples of the fatherless, through housing, biblical training, employment, and life skills. We create volunteer opportunities for individuals and church small groups to minister, as we partner with Michigan D.H.S. to reach fatherless youth with Christ's love. Visit their website at lakeshorelifeworks.org/. For a program participant, being able to support themselves and their family is critical. Yet, for someone who has a criminal past, finding an employer willing to give them a second chance is very difficult. According to a recent study, 65% of employers surveyed stated they would not "knowingly hire a person with a criminal record, regardless of the offense." At New Day Staffing, they are interested in their participant's obtaining a job and long term success. 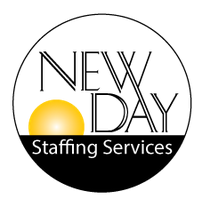 New Day Staffing assists with skill training, resume preparation and interview coaching. The service works with local companies in West Michigan to provide the best candidate for the job. Employers who are interested in learning more about the program and they value they offer, please contact Clay Reinking at 616.796.0685 ext 155 or visit www.newdaystaffing.org/. I would like to nominate Grand Rapids Revival. My son Ben and a group of area high school and college students meet every Wednesday in downtown Grand Rapids to minister to the people on the street. Last week he asked me if I could design a business card for them and how much it would cost to have them printed. Seeing they are operating on their own funds for any costs involved with this ministry, I think it would be a huge blessing to help them out with cards. We couldn't agree more and are honored to help this worthy organization. Visit Grand Rapids Revival by visiting their Facebook page. The mission of Community Homeworks is to empower low-income neighbors to maintain safe, sustainable, and dignified homes. They know that low-income families face many challenges and believe that one of the first steps to moving forward is working to create a more stable and sustainable home environment. Often that starts with addressing critical repairs that a homeowner is not able to afford. But at Community Homeworks they are committed to connecting homeowners to resources and opportunities to make more lasting change. Visit Community Homeworks at communityhomeworks.org/. While the Ronald McDonald House of Western Michigan cannot make medicine taste better or take away painful treatments, it can help lessen the burden and ensure more than 450 families a year have the stability and resources they need to keep their child healthy and happy. The RMHWM raises 100% of its operating budget annually. The power to keep families together is in your hands. Donating is simple at www.rmhwesternmichigan.org/donate. Thank you! Visit Ronald McDonald House of Western Michigan at www.rmhwesternmichigan.org/. Coming in 2015, Lionheart Academy disciples boys into godly manhood. Their students will learn to see the world from a uniquely Christian perspective through the time-tested model of classical education. This takes place in a school specifically designed to meet the needs of boys at each stage of development. Visit Lionheart Academy at lionheartclassical.org/. If you or someone you know is in need of professional counseling, help at Tri-Cities Ministries Counseling (TCM) is just a phone call away. TCM was founded 37 years ago by local churches, and currently has a panel of 25 professional,Christian therapists. However, it is important for the community to know that TCM meets people where they are at. A person does not need to be a Christian to get counseling at TCM. Also, a person does not need to have insurance to get counseling at TCM. TCM never turns a person away if they live, work, or worship in the Tri-Cities (Grand Haven, Spring Lake, or Ferrysburg). Never. Lakeshore Habitat for Humanity is an affiliate of Habitat for Humanity International. Their mission is: Seeking to put God's love into action, Lakeshore Habitat for Humanity brings people together to build homes, communities and hope. "Lakeshore Habitat for Humanity has been meeting the need for safe, decent, and affordable housing by providing homes to deserving families in Ottawa and Allegan counties since 1990. To date, they have served over 130 families whose income falls between 30-50% of the area median income. This represents over 700 adults and children. "Our unique and effective ministry model provides a zero-percent interest mortgage and Energy Star constructed homes to low-income, hard-working families who would not otherwise qualify for a conventional mortgage. Our goal is to provide a hand up not a hand out. Our work is made possible through donations, volunteer labor and in-kind donations of supplies and materials." We have also connected LHH with Amanda Impens, one of our volunteer graphic designers and a client of ours, to help them develop their new cards. A previous winner of our Giving Back drawing is the Equest Center for Therapeutic Riding (www.equestcenter.org) in Rockford, Michigan. A very interesting initiative! They are a wonderful organization reaching out to over 200 individuals per week with horse assisted therapy. They currently "employ" close to 30 horses. A previous winner of our Giving Back drawing is the Social Charity Club of Grand Rapids (www.socialcharityclub.org). They just celebrated their 2-year anniversary, with an event to benefit the Helen Devos Children's Hospital Foundation. The group's motto is "Step up While Stepping Out with the Social Charity Club of Grand Rapids!" The Social Charity Club of Grand Rapids is a network of socially conscious professionals in the Grand Rapids area who choose to give back while enjoying and supporting local establishments. We realize that in these hard economic times people are redefining ways to spend their 'entertainment' budget, so we are providing a fun and affordable avenue for people to help stimulate our local economy and give back to our community. The idea is easy and awesome: every month, the SCC hosts an event at a different venue with a different local chartiable beneficiary each time. By donating $10 to the charity, you'll receive a complimentary beverage and appetizers. 100% of proceeds are given to the charity. A previous winner of our Giving Back drawing is the Holland Rescue Mission (www.hollandrescue.org). Holland Rescue Mission exists to glorify God by proclaiming and demonstrating His love through Christ-centered programs of excellence for the homeless and less fortunate. Among their many programs, they run an emergency shelter that often includes mattresses on the floor during our busiest times. At Holland Rescue Mission, they understand that people don't roll out of bed one morning and decide to move onto the street. It's a devastating process. For many, homelessness is just one illness, accident or layoff away. Holland Rescue Mission is first and foremost a shelter. They are not, however, anyone's permanent address. With separate shelters, one for men and one designed to meet the needs of women, children and intact families, we provide a warm, safe, loving place to regroup, rethink and rechart a divinely guided course toward independence. The Emergency Shelter Program includes Food, Shelter and Clothing, Personal Case Management, Financial Accountability, Bible Studies and Chapel Services, Employment Assistance, Parenting Classes and Children's Programs. A previous winner of our Giving Back drawing is the Center for Women in Transition (www.cwitmi.org). The Center's mission is to respond to, reduce, and prevent domestic and sexual violence against women. This mission will be achieved through education, collaboration, and advocacy, with crisis and supportive services to victims and survivors. They value the right of every individual to a safe and just environment. They value community accountability and recognition to eliminate the root causes of violence. They value the inherent equality and worth of all individuals. They value the strength and power of individuals to make their own life choices. They value the integrity of our organizational practices. They value responding to community need with vision, creativity and courageous leadership. A previous winner of our Giving Back drawing is the Ottagan Addictions Recovery (OAR) (www.oar-inc.org). OAR is dedicated to helping you, your family, and your friends experience recovery from addiction. They have been helping individuals and their families overcome and recover from alcoholism, drug addiction and related problems for over 40 years. As a community supported organization, they provide a variety of treatment and educational services throughout West Michigan. Since our inception, they have helped over 55,000 individuals in their struggle with addiction. They have the expertise and experience to help you on your journey to recovery. If you'd like to enter your non-profit or volunteer organization for our future monthly drawing, it's easy! Just send us an email at givingback@hollandlitho.com.